Julien Vincenot, born in 1985 (France), is a composer and a musician-researcher. He started to study XXth century music and electroacoustic composition at Paris 8 University, with H. Vaggione and J.-M. Lopez Lopez. During this period, he co-founded the Unmapped collective. He holds a masters degree in music theory and research. In parallel, he studied composition in Montbéliard conservatory, with J. Baboni Schilingi, L. Bianchi, G. Platini and F. Voisin, where he received the first price and SACEM price in 2013. 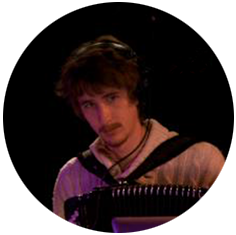 He also completed the Cursus 1 in composition and computer music at IRCAM in 2014. His works (mixed music, laptop performances, music for film and dance) have been presented in Europe, China and the U.S.
Thomas Vittek, born in 1985 (France), is a composer, pianist and accordionist. He started to study the piano at the age of 4, and then was interested in a movable version of this instrument, the accordion. At the Paris 8 University, he discovered electroacoustic music and the various possibilities that it offers. Interested in applying electronic treatment to (and control it with) the accordion, he co-founded in 2007 the Unmapped collective. He also composes and performs music and sound for short movies and theatre. He now lives in Istanbul, aware of the sound of this legendary city. Labelle co-founded the artist collective Eumolpe and Unmapped. 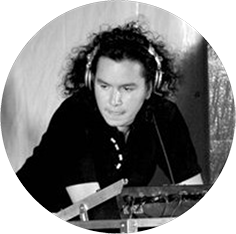 He has created works for a wide variety of uses (remixs, ciné-concert, video games, films, expositions, radio jingles). 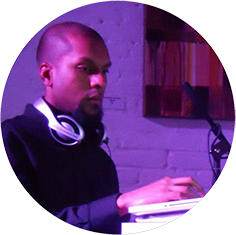 Having achieved his Masters degree in Music, Labelle has participated in conferences, and directed master-classes. He has played in French big festivals (Transmsuciales, Nuits Sonores) and many countries (Germany, Sweden, South Africa, Botswana, Mozambique, Lesotho, Swaziland). In 2013 Labelle released his first solo album Ensemble and received reviews by big French musical media (Libération, Les Inrockuptibles, France Culture, France Inter, Fip, Radio Nova, RFI, TSUGI). 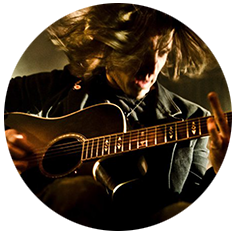 Olavo Peres Vianna, born in 1981 (Brazil) is a musician, composer and 'anti-luthier', interested in musical improvisation. By using recovered or reappropriated objects and codes, his sounds performances often originates unusual instruments / interfaces. Graduated in composition by Rio de Janeiro University - School of Music, Olavo Vianna holds a master degree in musicology from Paris 8 University. He has also developed several works in collaboration with dance, theater and cinema, presented in different festivals in France, Spain and Brazil. 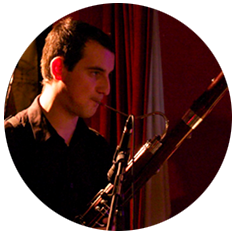 William Goutfreind, born in 1988 (France), is a composer, a bassoonist, and managing director of SIMIFA Ltd. He studied music and musicology at ENM Montbéliard, ENMD Belfort, Besançon University and, for his master degree in music, at Paris 8 University. He aims at evolving into music through different forms (classical, but also with laptop performances and mixed music). His works have been played in Europe and in the U.S.
Emanuele Battisti is a pianist, organist, musicologist and composer. After earning Master degrees from universities in Italy, France and the United States, and performing recitals and concerts as classical musician between Europe and USA, he currently lives and works in Paris. 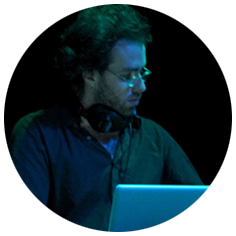 He is active as music producer, mixing engineer and sound designer with his own company Baffo Music, and co-founder in 2014 of Elli Records, a music label focused on the release and promotion of electroacoustic experimental improvisation. Andrea Gozzi, born in 1984 (Italy), is a musician and researcher in new technology for music. He studied music at DAMS, University of Florence (Italy) and he holds a masters degree in music theory and research at Paris 8 University. He works with the centre of research, production and education TEMPO REALE (Florence) founded by Luciano Berio. He’s professor of sound design at LABA (Libera Accademia delle Belle Arti) and history of rock music at DAMS, both Universities based in Florence. As a guitarist he played with international artists in Québec, Germany, France, United Kingdom and Italy, jumping on stages like LIVE8 (2005) in Rome. In 2014 he publish his first book about rock music, Appunti di Rock. Venezuelan composer and multi-instrumentalist based in Paris. He studied in diverse locations: Venezuela, Belgium, Spain, Australia and France. Motivated by the constant need to create and interact with different disciplinary methods and driven by the freedom to explore, deconstruct and develop new ideas. 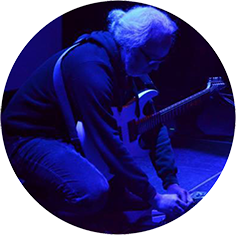 His compositions range from acoustic pieces to mixed media, improvisations and electroacoustic works. 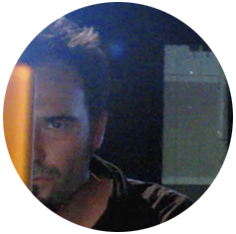 His current main areas of focus and interest are electro-acoustic music, spatialisation, spatial sound synthesis. His composition ‘Inside My Mind’ was performed at ISCM in Sweden. His works have been programmed in numerous European and American cities, in festivals and other related events. 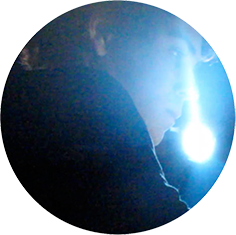 In addition to his solo work & since 2010, he is member of the collectives Electrologues & Unmappped. João Fernandes (Portugal) is currently a Doctoral student in composition and musicology at the University Paris VIII, under the direction of Makis Solomos. At the same university, he obtained his master degree under the direction of Horacio Vaggione. 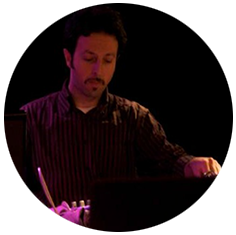 His interests are electroacoustic and mixed music improvisation. In this area he’s been performing regularly in Europe with the Unmapped collective since 2009 and with the duo Electrologues since 2010. He participated in composition masterclasses at Musica Viva’s festival with Trevor Wishart as well as the composition masterclasses at Fundação Calouste Gulbenkian with Emmanuel Nunes. Born in 1981 (Greece), Dionysios Papanicolaou moved to Paris in 2007 in order to continue his studies in composition at Paris 8 University, the BBCNR, the PSPBB and IRCAM. He currently teaches computer assisted composition at the University Paris Est Marne-La-Vallée. He considers that in the field of sound reproduction or communication, the future audio technologies will try to focus on the sense of immersion and presence and thus he participates in artistic projects of improvised electroacoustic music, film music, theater and dance as a composer and instrumentalist. Kevin Gironnay (France) is a composer living in Paris. He's currently studying at the conservatories of Pantin (Christine Groult) and Montbeliard (Jacopo Baboni Schilingi, Lorenzo Bianchi, Giacomo Platini). 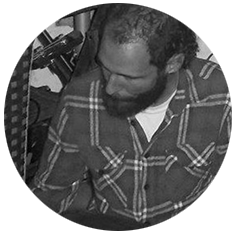 Former sound engineer, he's obsessed with the perception of sound and tries to apply this obsession in different projects : electroacoustic and instrumental compositions, sound installations, music for videos and electroacoustic improvisation.